Nowadays tablet devices are gaining more and more popularity every day and while this is certainly the trend, It`s also true to say that iOS devices from Apple are bit more widespread than Android tablets. With Admiral Markets you can now put your iPad to work by downloading and installing MT4 on to it. This way you not only get a chance to open orders from any location that allows you to access the Internet, but also get to experience desktop like trading on your Apple iPad. 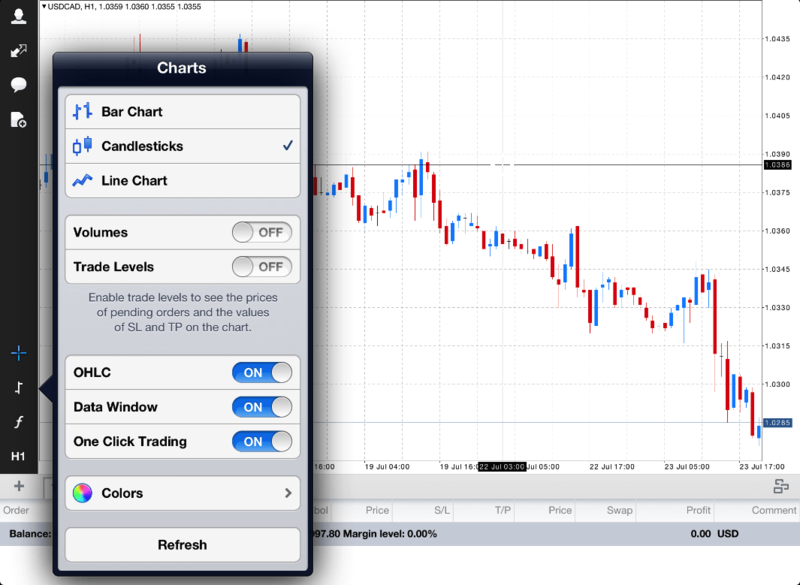 With MT4 on iPad you can experience the MetaTrader 4 trading platform on almost the same way as on a desktop. If you are a fan of candlesticks, in fact only with MetaTrader 4 for iOS devices, you can configure this type of a chart style , note that MT4 for Android does not support candles. The iPad provides you with a larger screen than you can get on your iPhone, but it also comes with a great set of MT4 technical indicators. Currently you can get an iPads with either a 9.7 or 7.9 inch screen size, this means you can perform a decent technical analysis. 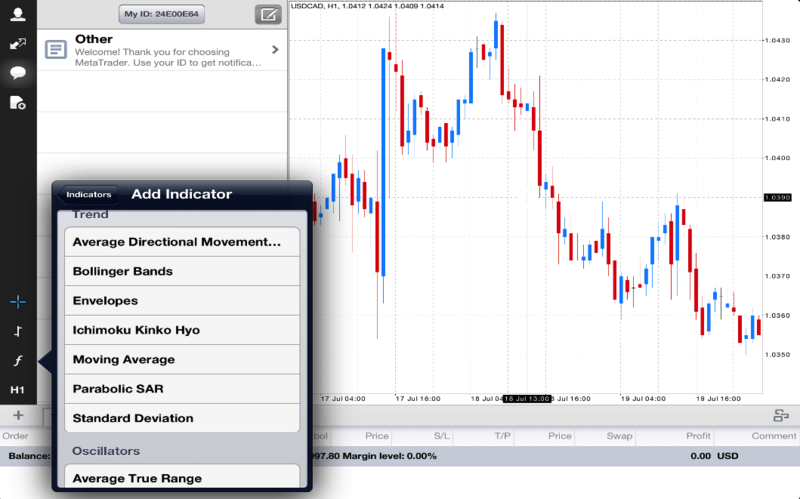 This is how you can add all of the indicators and oscillators that are available on your regular desktop program. Unfortunately there is no support for the custom indicators, yet you can benefit from a similar number of time frames. 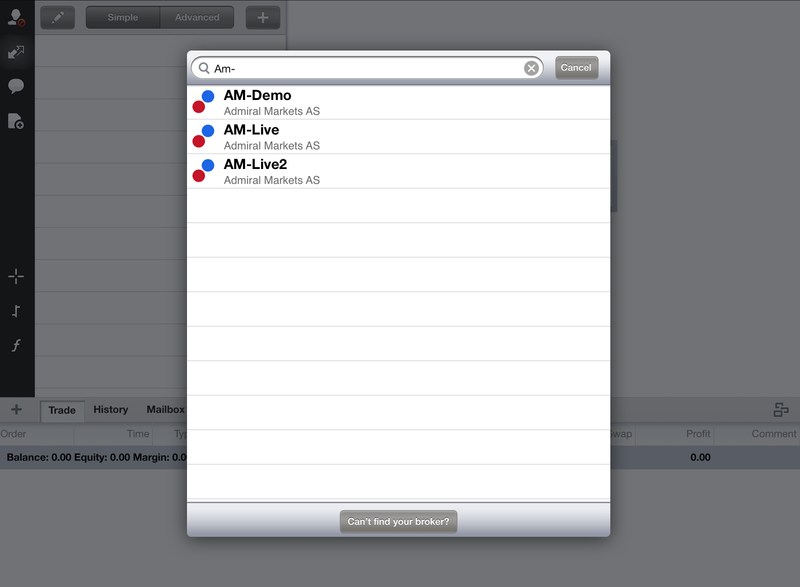 Also, MT4 on iPad offers you the benefits of the 1-Click-Trading tool. How to install MT4 on iPad? First of all you would need to visit Apple App Store and simply type Admiral Markets MT4. You can also get a non-Admiral Markets version of the platform, but then it would be a little bit harder to setup the servers, so you would be better off getting Admiral Markets app. Once you have found this application in the store, download it and install MetaTrader 4 on iPad. You would need to select an appropriate server and then authenticate using your trading account credentials. In case you do not have an account yet, get one by clicking a link below, it will only take a few minutes. Got an iPad and can’t wait to start trading on it? Below you can see an App Store icon, clicking on it will land you at Admiral Markets MT4 for iPad Application. Once you clicked the icon below, you will be able to download MetaTrader 4 for iPad and start enjoying trading on the go. With the Admiral Markets edition of this App you will save time, as the trading servers are already set up for you. Get this App now!